Tapping touch is nothing new. It is a thousand-year-old healing technique that God created. It is performed by tapping gently using your fingers. 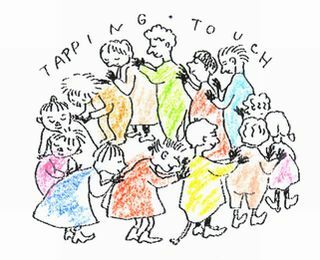 Tapping touch is a fairly simple technique. It is easy to learn and just about everyone from young and old can perform it. Tapping touch is developed and proven effective through clinical uses and researches in the world. 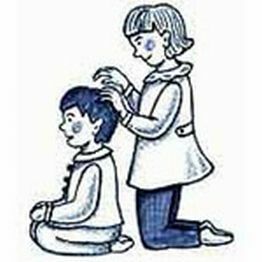 This spiritual healing called tapping touch is believed to have originated during the time of Moses or even before in Egypt. Its gentle tapping helps in releasing tension in your body and mind, and increases your overall sense of wellness, positive feelings and thoughts. It also motivates our inner self to be healthy and reminds us of the joy in caring for each other and living together in complete harmony. Touch with each other, and individuals, families, and communities will be gently empowered, and the world itself will regain wellness. 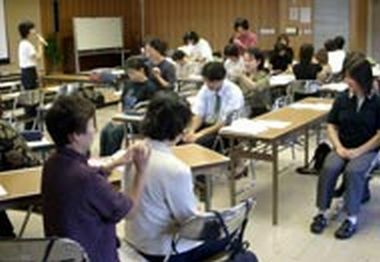 During these terrible times, especially after the recent world calamities like the Tohoku earthquake and tsunami that happened on March 11, 2011, add to it the Japan nuclear crisis, most people are stressed especially the elderly. We easily get fatigued and acquire serious illnesses. I knew that people in such situation will need any sort of help especially spiritual help to comfort their minds and body. As I am a healer too, I want to visit them for relief, but because of my old age and lack of transportation going to the site, add to it the absence of electric power, lack of foods, water, and just about everything else, I just decided to send our staffs to teach some simple spiritual healing called “tapping touch”. Tapping touch is performed as shown on the pictures in this article, where it is nothing more than someone touching the patients just by using their hands. You may wonder why and how patients get well by means of tapping touch. Of course you cannot expect that all kinds of illness can be cured by the said treatment but many will feel better. They will get better sleep, and simple pains and stiff body can be relieved. By doing this tapping touch every day, you can keep a healthy life especially among your family circle under the same roof. Tapping touch produces static between the patient and the operator. It is just like you having the PYRO-ENERGEN machine without spending hundreds of dollars. However, please be noted that static power produced by tapping touch is not as strong as the PYRO-ENERGEN machine, thus you cannot expect to heal as good as the electrostatic machine. However, tapping touch can heal the mind of the patient by talking unlike the machine that does not talk. Today, there are more than 2,000 spiritual healing sectors or establishments around the world who are trying to find new words, explanations, techniques, new forms of spiritual styles, and new logos to get more followers. However, don't you know that all spiritual healing have originated from tapping touch method? There are people, sectors, and establishments who do healing by hands that look like magic and will say “it's a new invention”, but they may just be the same as tapping touch. In fact, the PYRO-ENERGEN is also derived from the same tapping touch method but is converted to electronics technology with stronger electrostatic power to cover wide ranges of health problems.